Your Graces and my fellow bishops of our beloved continent of Africa—on behalf of the Episcopal Church of the Sudan, I would like to thank CAPA for organizing the All Africa Bishop’s Conference (AABC) and for the Church of the Province of Uganda for hosting this august Conference. I bring greetings to you all from the Episcopal Church of the Sudan in the Name of our Lord Jesus Christ. We were shocked to hear of the attacks that occurred in Kampala on 11th July 2010 on innocent people who were watching the World Cup finals. 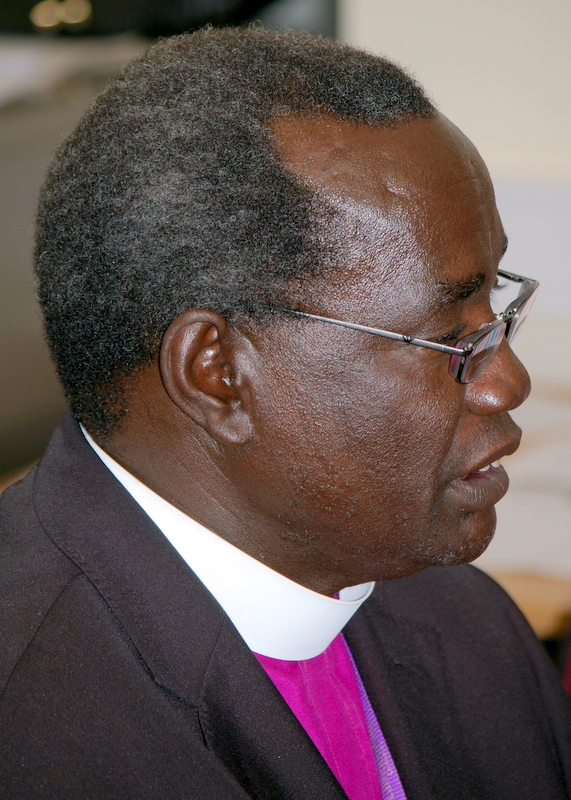 I would like to request His Grace, Archbishop Henry Luke Orombi, to convey our condolences to the bereaved families. We assure you of our prayers for quick recovery for those who were injured in these attacks. Thanksgiving: In Sudan, Christians have been carrying a heavy burden for over 50 years. But we give thanks to the Almighty God that He has safely brought us together here in Kampala. We rejoice in the hope he has given us in His son Jesus Christ. This hope gives us strength in the face of many dangers and difficulties we are now going through in Sudan. Also, we thank God for your prayers and support for the Comprehensive Peace Agreement (CPA) which was signed five years ago, but we are still asking for your continuing prayer and support as we approach the end of the six-year interim period. The Peace Process: The peace process in Sudan has reached a critical point. In April  we completed our first multi-party elections in 24 years, and we are now less than 4 months away from the referendum on southern Sudan self-determination and popular consultations for Nuba Mountains and the Blue Nile. This is a crucial part of the Comprehensive Peace Agreement (CPA). Unfortunately, there are aspects of the CPA that have not yet been implemented; this includes the demarcation of the 1st January 1956 borders and the full implementation of the Abyei protocol. We call on you to pray for this process and request you to urge your governments to support the full implementation of the CPA and to recognize and accept the outcome of the referendum. We express our sadness at the missed opportunity for making the unity of Sudan attractive since the signing of the CPA: the lack of reconciliation process, the lack of transparency over the National Census and oil revenues, the failure to repeal or alter laws which are contrary to the spirit of the CPA which guarantees equality and freedom for all. We strongly condemn all inter-ethnic violence that has been witnessed in some parts of Southern Sudan, the ongoing violence against civilians in Darfur, and the violent attacks on civilians being perpetrated by the Lord’s Resistance Army (LRA) in the south-west of the country. We re-affirm our commitment to doubling the efforts of the Church in bringing peace and reconciliation to our people. Background to Islamic Fundamentalism in Sudan: The three Christian Kingdoms of Sudan declined following the arrival of Islam from Arabia in AD 641. Ever since then, Christianity has been under pressure in Sudan, and in the past 20 years there have been attempts to legally suppress it following the compulsory introduction of Sharia Law in 1983. This reduced many millions of Christians to second class citizens in their home country. The Government of Sudan declared jihad against Sudanese Christians, and between 1983 and 2005, around 2.5 million people died, millions were maimed, and over 4 million more were displaced to camps—some of whom have not been permitted to return until this day. Fundamentalist elements of the Islamic government in Khartoum are suspected of wishing to keep the south underdeveloped and to use the southern people as cheap labourers in the north whilst taking all the minerals of the south for the development of the north. Their long-term intentions is to use the conversion of the south to Islam as a springboard for the Islamization of East Africa and beyond. Having endured this systematic persecution for the past decades, the people of Southern Sudan, the Nuba Mountains, Abyei and Blue Nile are today seeking a better way of life through referenda and popular consultations that have been granted to these areas under the CAP in 2011. In their own states, they will not face Islamization and Arabization or marginalization from the North. 1. The National Security Laws have not been repealed as they should have in line with CPA. 2. The National Congress Party (NCP) has pledged to continue to impose Islamic Sharia Law in the north, no matter what the outcome of the referendum in the South. This will continue to reduce many Southerners in the North to second class citizens and has therefore made the secession of a secular Southern state far more attractive to Southerners. 3. Only a portion of the oil revenue owed to the South has been paid to the Government of Southern Sudan (GoSS) each year since 2005. 4. The GoNU has not implemented development projects in the South. Had roads, education, health and water programmes been implemented in the South by GoNU, the unity of Sudan would have appeared fare more attractive to Southern eyes this year. Similarly, since 2005, jobs in the North have not been opened up to the Southerners as promised in the CPA. Whilst this has been recently promised by Khartoum, this is seen in Juba as too little, too late. 5. Northern politicians are suspected of orchestrating militia attacks in the South against the fundamental spirit of the CPA. When a militia general attacked troops in Malakal in 2009, he was rescued from potential SPLA arrest by government air lift. Despite the granting of self-determination under the CPA, there are still numerous outstanding issues that must be addressed by both the NCP and the Sudan People’s Liberation Movement (SPLM) in the final months of the agreement. I am secondly calling upon your support for ensuring that these outstanding issues are addressed and that these referenda and popular consultations happen in a free and fair manner with minimal confusion and violence. 1. We are afraid that the resignation of voters will not be carried out in a fair way. The fear is that non-Southern NCP voters will be registered in order to vote in line with Khartoum. Officially only 500,000 Southerners live in the North, a figure which is deliberately underestimated, as around 4 million Southerners have moved to the North since the mid-1980’s. 2. We are afraid for the rights of our people of the Nuba Mountains and Blue N ile is the South votes for separation. The popular consultations in these areas are not the same as the referenda in the South and Abyei and are far less transparently set out in the CPA. We fear that these areas will not be accorded full rights of self-determination. 3. We are concerned about unresolved issues of citizenship which are being used to threaten Southerners currently living in the North. If the South votes for separation, these people would become foreigners in Northern Sudan and will be at the mercy of the Khartoum authorities. 4. We are deeply concerned that the borders around Abyei are still not demarcated on the ground, despite it being over a year since the International Court of Arbitration in The Hague ruled on the issue. Without demarcated borders, there can be no free and fair referendum in Abyei. The organization of the Abyei Referendum continues to be a source of tension between the NCP and the SPLM and is an area where renewed war could be a real possibility. The Church calls upon all those involved in referendum planning to put the safety, livelihoods, and rights of the poorest and most vulnerable first. In the case of unity, issues of national identity, power and wealth sharing must be addressed. In the case of separation, issues such as the position of Southerners and churches in the North, the arrangements for resource-sharing, especially oil and water, and the status of Abyei, Nuba Mountains and Blue Nile must also be addressed to ensure peaceful relations between two new neighbours and to guarantee the basic rights of all people in both North and South Sudan. There is no alternative to the CPA. It must be fully implemented by both signatories and must be fully supported by those guarantors and stakeholders must take full heed of the crises affecting the Country and be active according to their promises made to the Sudanese people. The Church proclaims, “Let my people choose” and urges renewed international focus on the political processes of the referendum which must be considered inviolable. The Church supports the right of every individual Sudanese citizen to have a free and fair say in the future of Sudan—citizens who have already suffered from years of conflict. Sudan is in the very real danger of descending back into a war which will not harm the elites and the politicians but which will again destroy the lives of the voiceless mass of citizens for which I, on behalf of the Church, have come with my fellow bishops to plead. 1. The deployment of diplomats to retrieve and support the peace process in Darfur and justice for victims of genocide. 2. The supervision of referendum registration and voting so they take place by January 9th 2011 as stipulated in the 2005 Comprehensive Peace Agreement. 3. The protection of the rights of IDPs in order to participate fully in the referendum. 4. A viable registration and voting process for IDPs. 5. That the choices of the people of Southern Sudan and Abyei in the upcoming referendum are recognized and accepted. 6. That an independent body oversee the popular consultation in South Kordofan and Blue Nile State so that they are fair and timely. 7. A package of benefits for peace and consequences for war is created for a just and lasting peace for Sudan. These recommendations are important for the future of all Sudanese. Thus they are of great importance to the Episcopal Church of the Sudan. The Church in Africa must recognize the grave and inextricable situation facing Sudan and assist us in faith, guide us with love, and encourage us through prayers. 1. We request your prayers for Sudan. 2. We request all the churches of Africa to stand firm with the people of Southern Sudan, Abyei, Nuba Mountains and Blue Nile, and support the choice that they make in the upcoming referenda and popular consultations—whether for unity or separation. 3. We request especial support from you all for the Church in Northern Sudan as it continues to face the official persecution from the Khartoum government. The global Church must stand united in support of our brothers and sisters who daily witness to faith in Jesus Christ whilst suffering to do so. If this does not happen, then Christianity in Northern Sudan has the most uncertain future and may even be facing destruction. I stand before you today with the promise that whatever the outcome of the referenda and popular consultations, the Episcopal Church of the Sudan will remain a united Anglican Province and will continue to be a source of spiritual unity and an advocate of peace for the people of Sudan. May God bless us and all the people of Sudan with the ability to do as Christ commanded us and to live in love and peace with all.